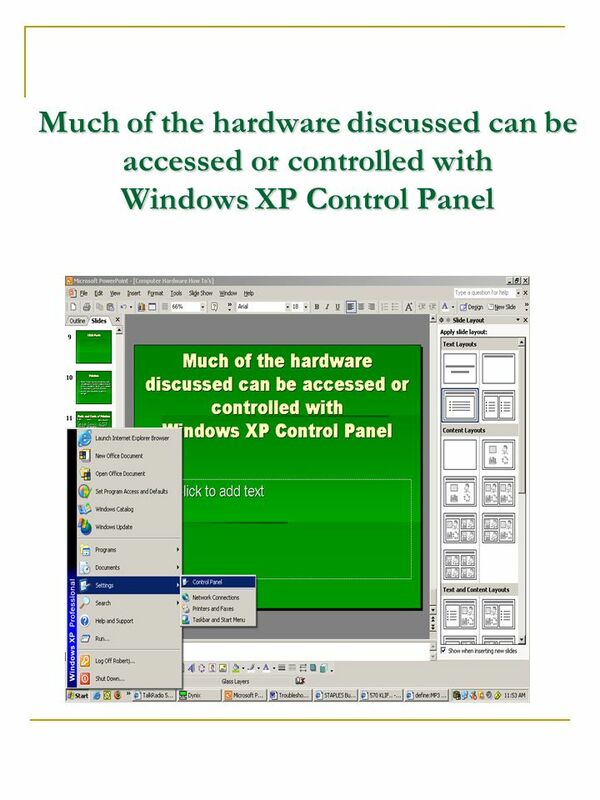 Hardware Show & Tell Internal Hardware: Parts & Ports Peripheral Hardware The XP Control Panel: Why it rules ! ! ! 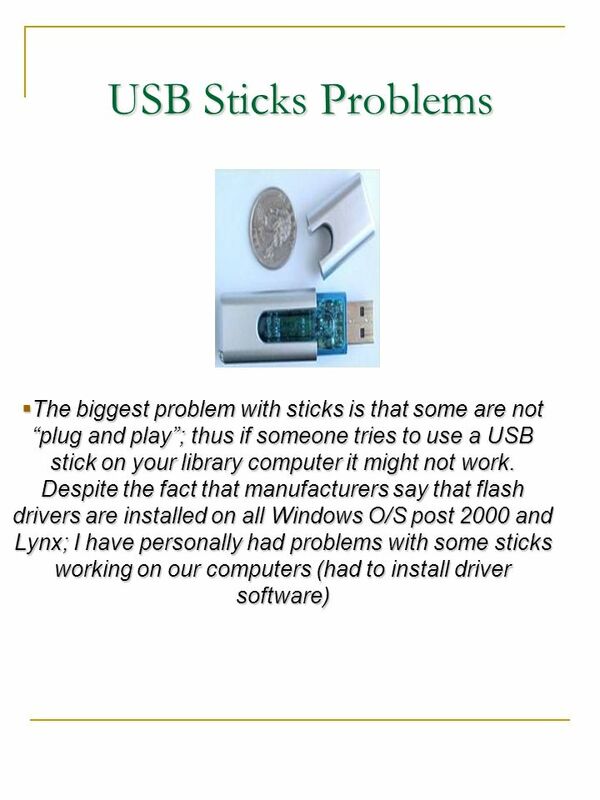 Drivers: Why do we need them? How to get them? 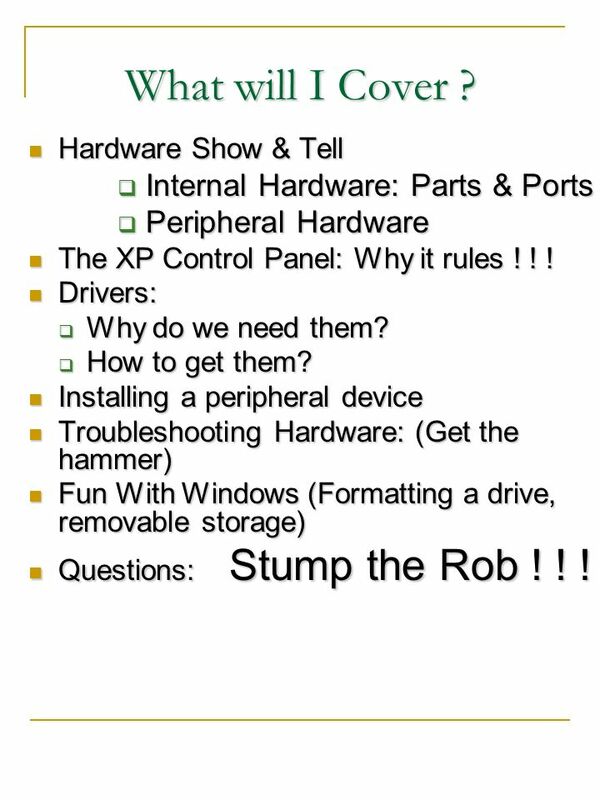 Installing a peripheral device Troubleshooting Hardware: (Get the hammer) Fun With Windows (Formatting a drive, removable storage) Questions: Stump the Rob ! ! ! 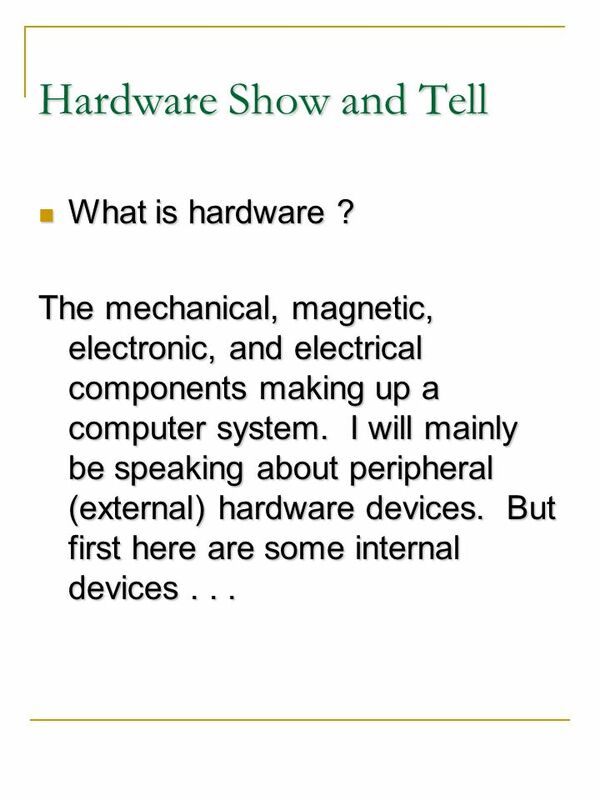 4 Hardware Show and Tell What is hardware ? 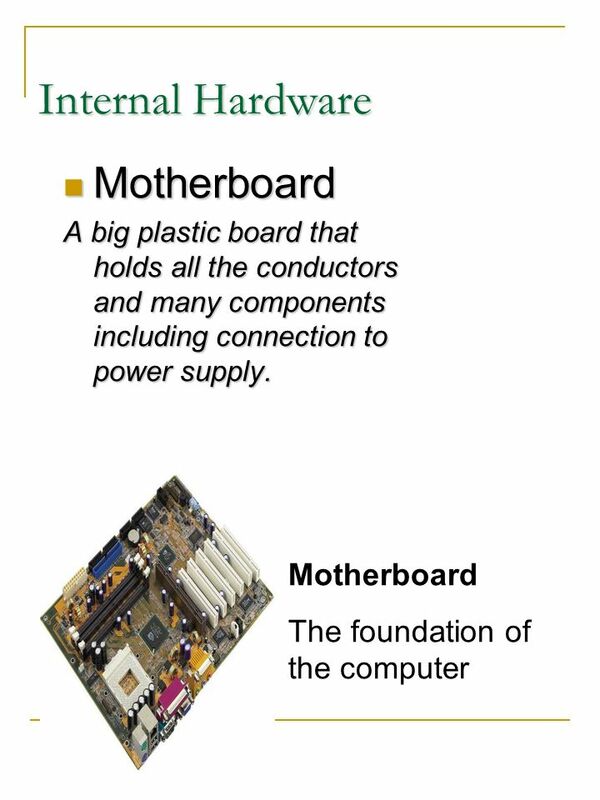 The mechanical, magnetic, electronic, and electrical components making up a computer system. 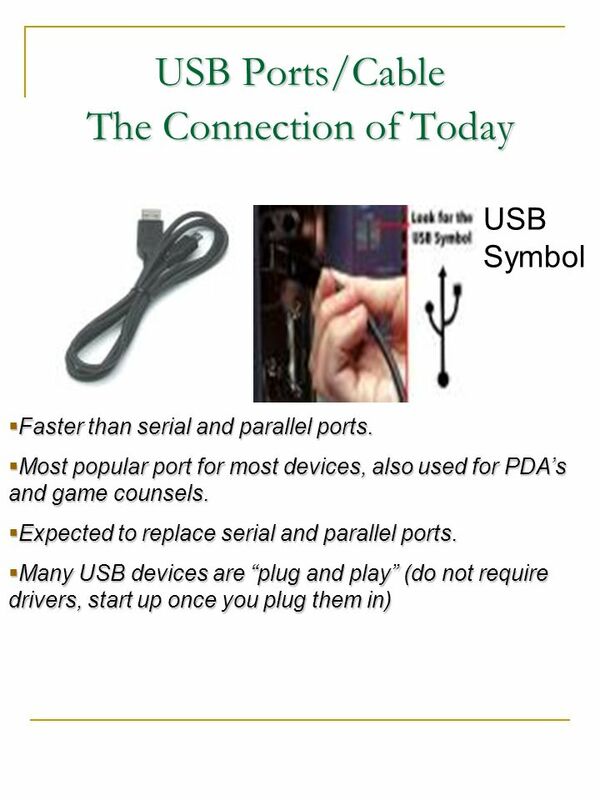 I will mainly be speaking about peripheral (external) hardware devices. 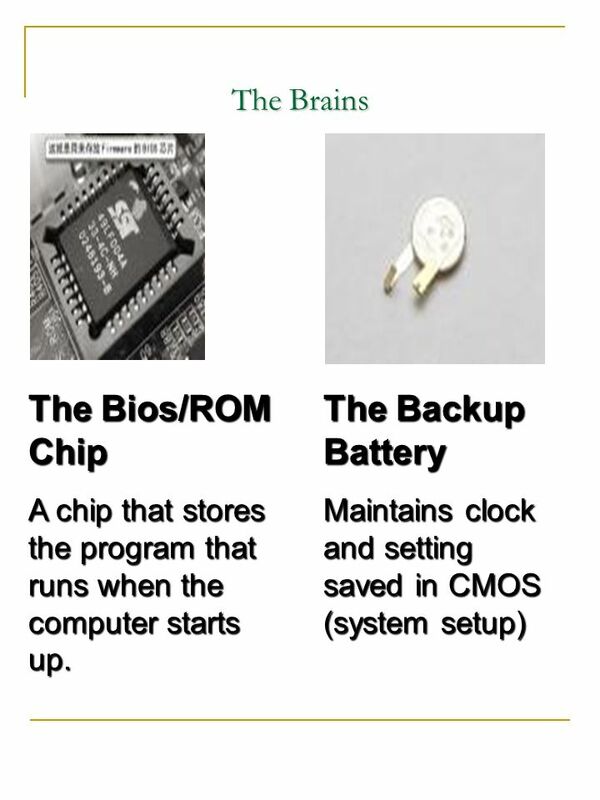 But first here are some internal devices . 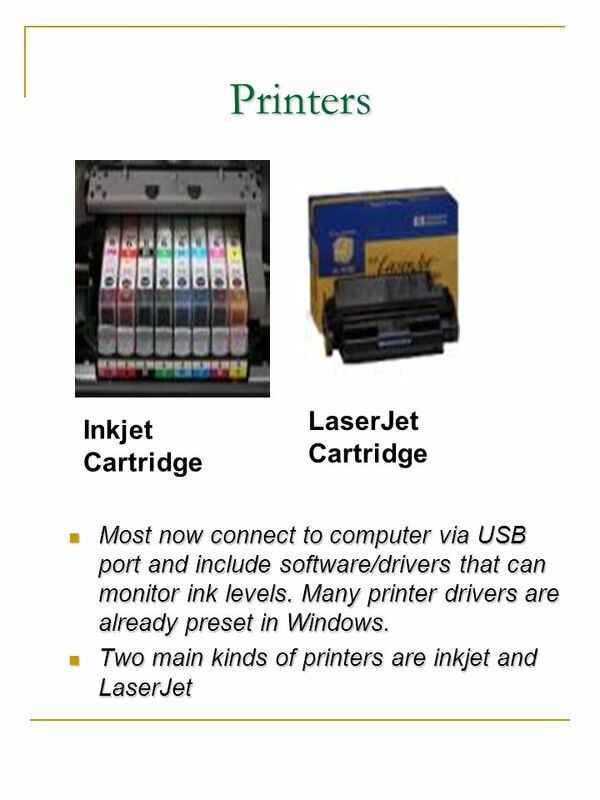 . .
Only used for huge bulk printing jobs (re. 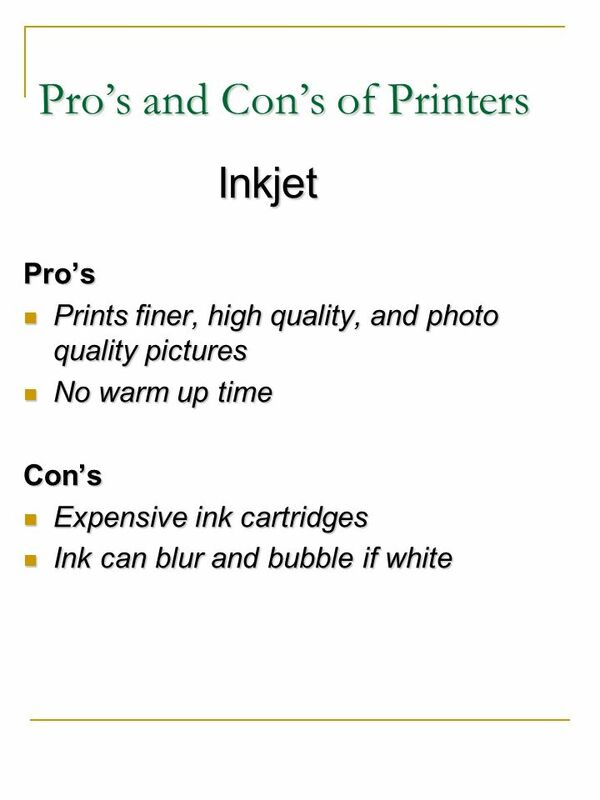 professional printer). 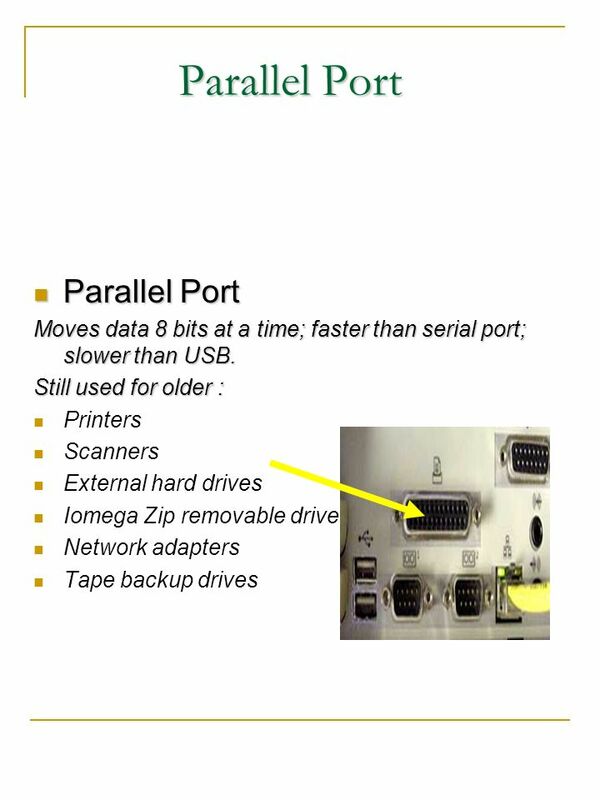 Dot Matrix : Obsolete. 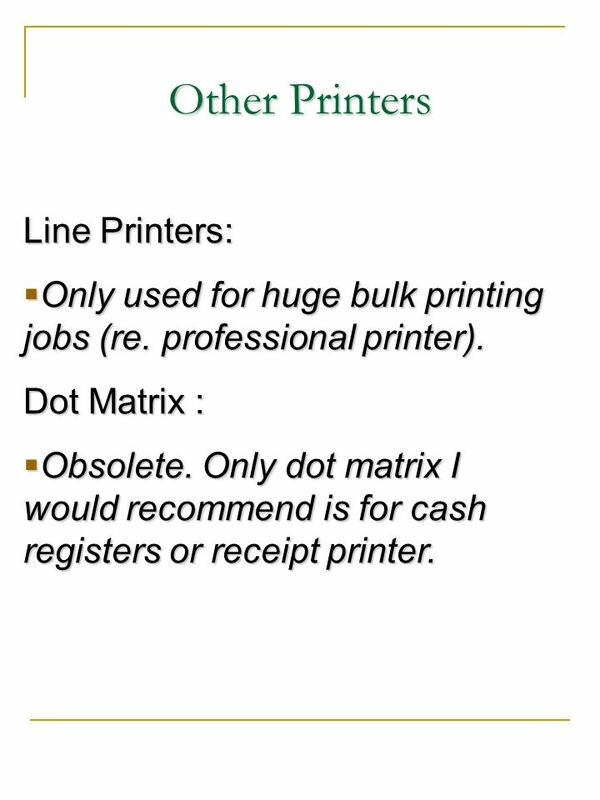 Only dot matrix I would recommend is for cash registers or receipt printer. 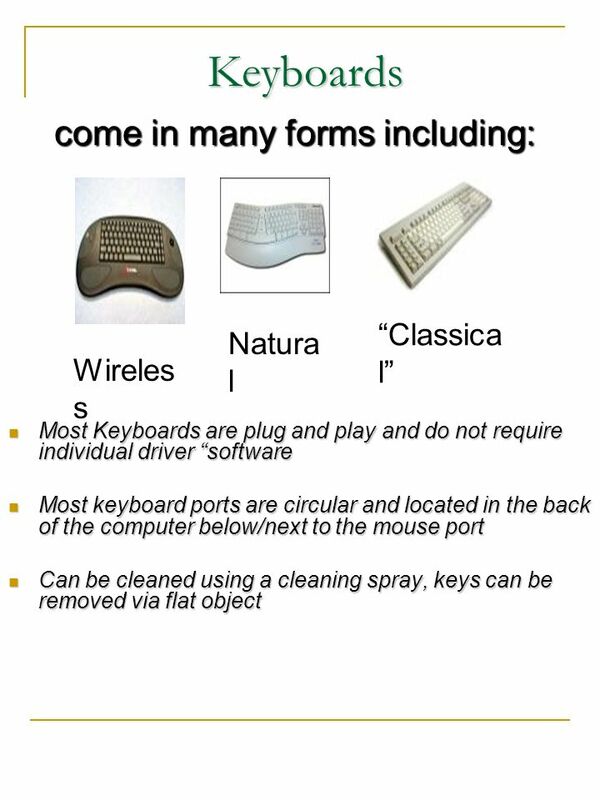 19 Mouse Many laptops have finger pads that act as a mouse but one can also hook up a traditional mouse to the computer Much like a keyboard, a mouse can be wireless; some older mice and portable mice do have software that acts as a driver and also ask you to align mouse so that it knows all of its positions (can also aligned in the control panel under mouse). 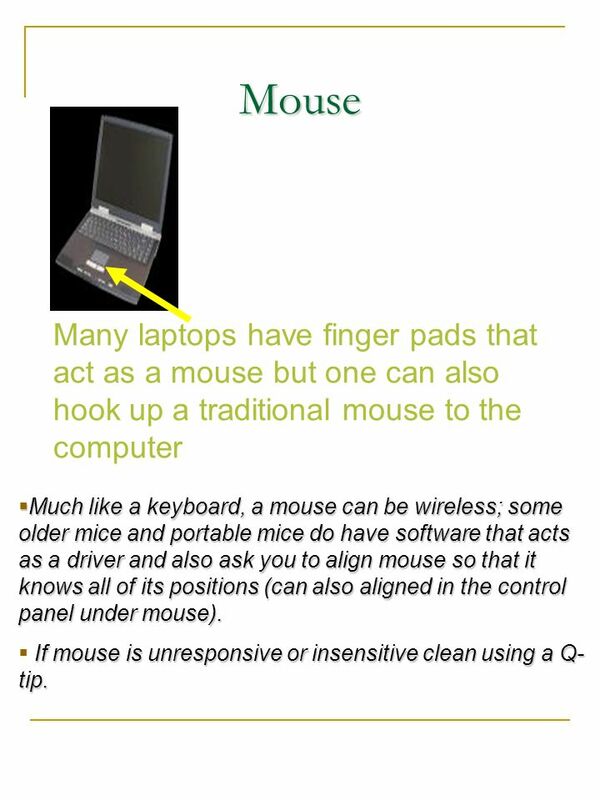 If mouse is unresponsive or insensitive clean using a Q-tip. 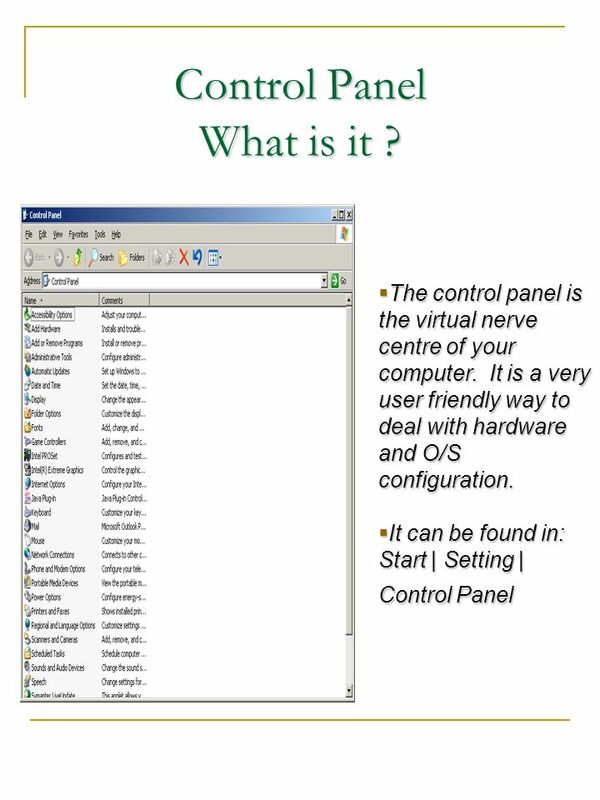 24 Control Panel What is it ? 25 Some notable options include . 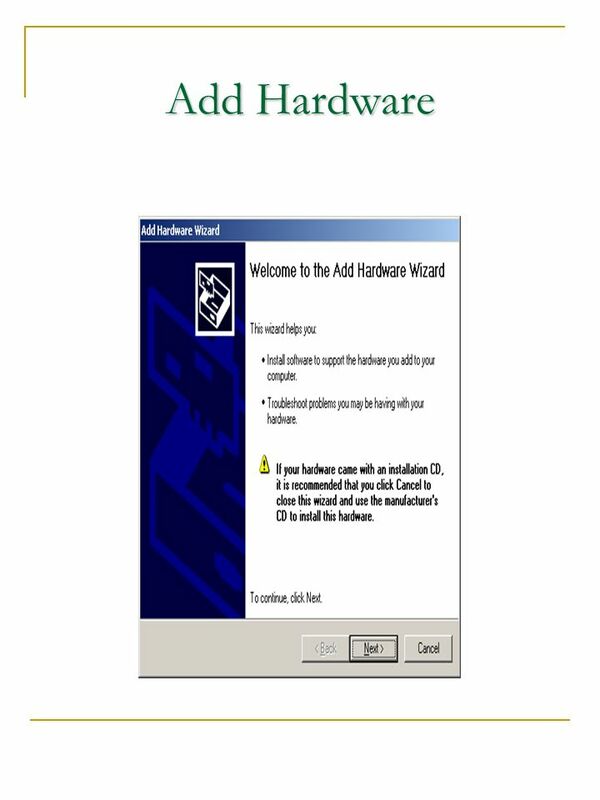 . .
A program that controls a device; every device requires a driver. 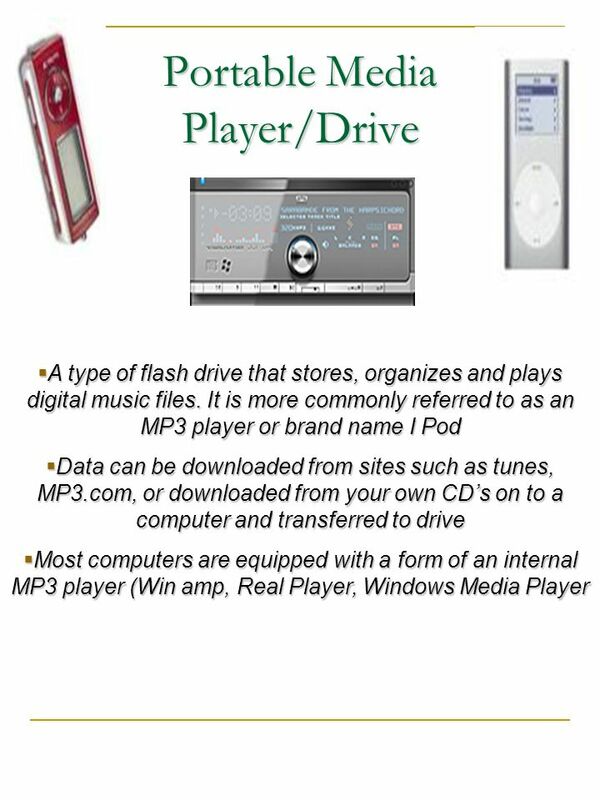 Many are already installed on the computer or are included in the “system program” (re. 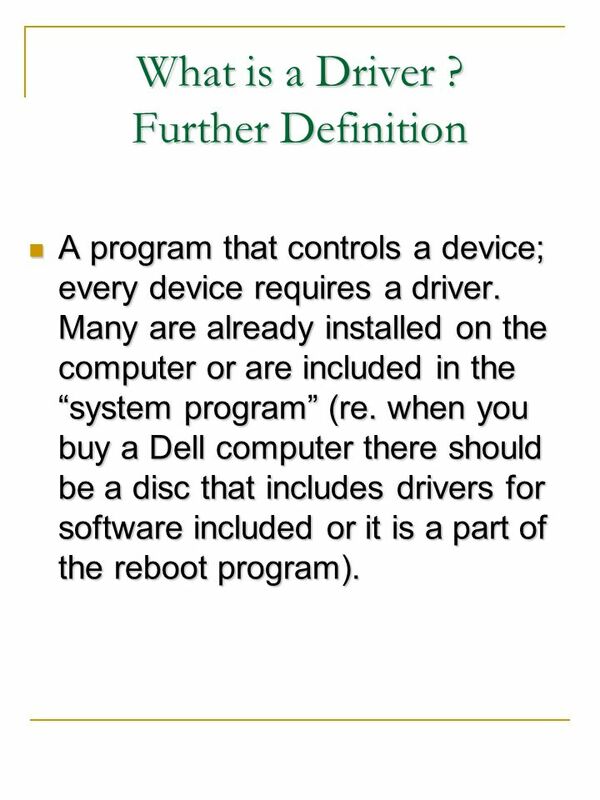 when you buy a Dell computer there should be a disc that includes drivers for software included or it is a part of the reboot program). 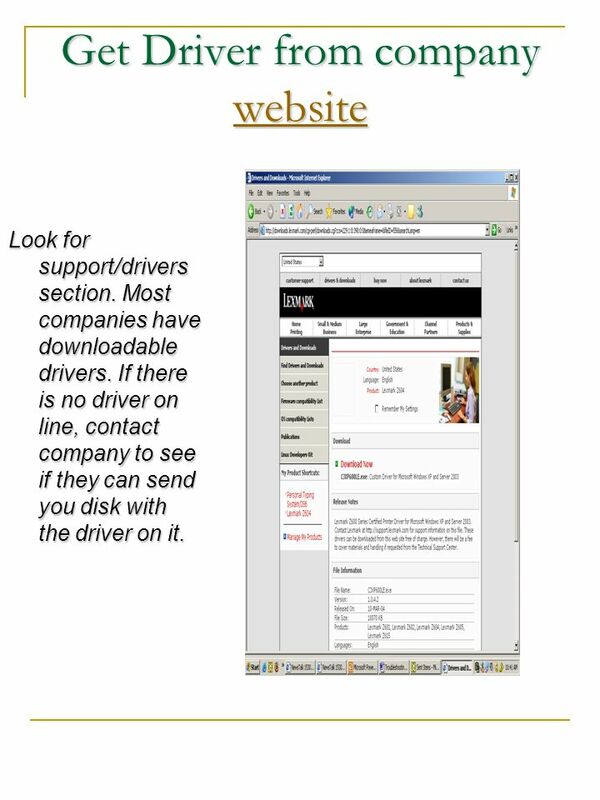 Look for support/drivers section. 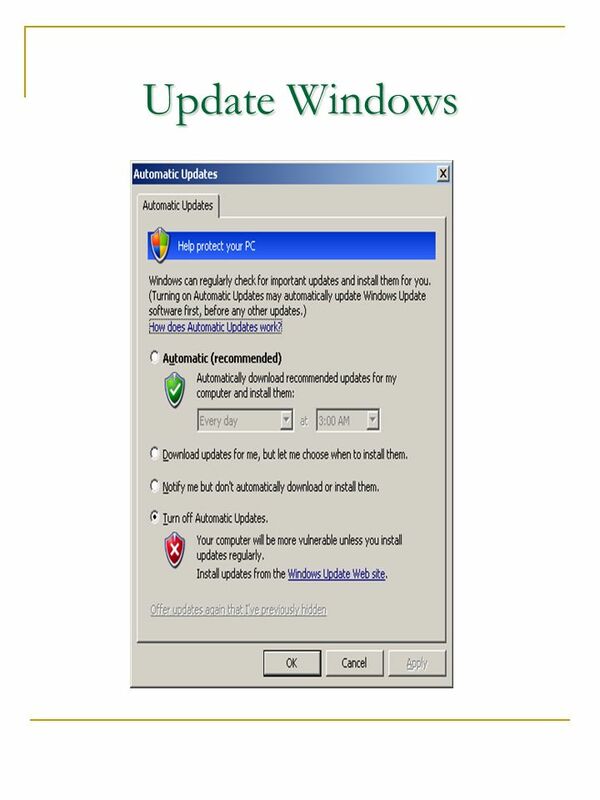 Most companies have downloadable drivers. 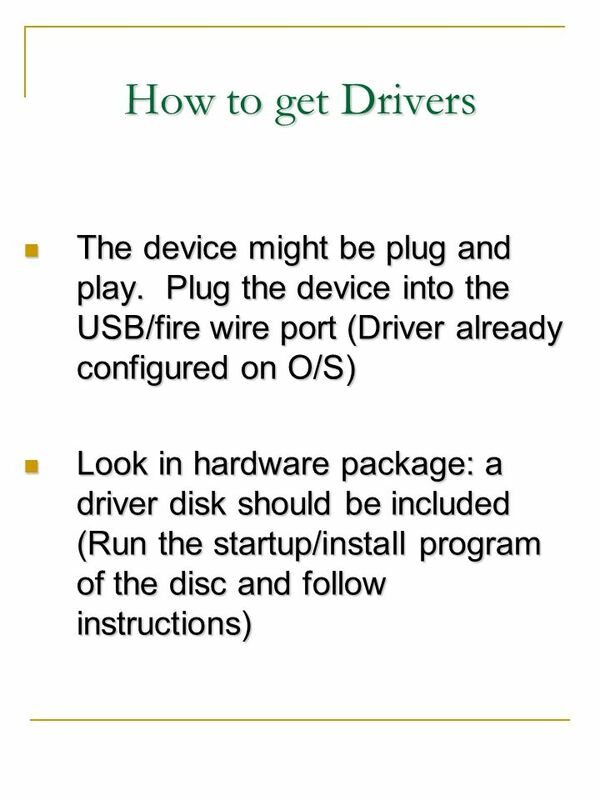 If there is no driver on line, contact company to see if they can send you disk with the driver on it. 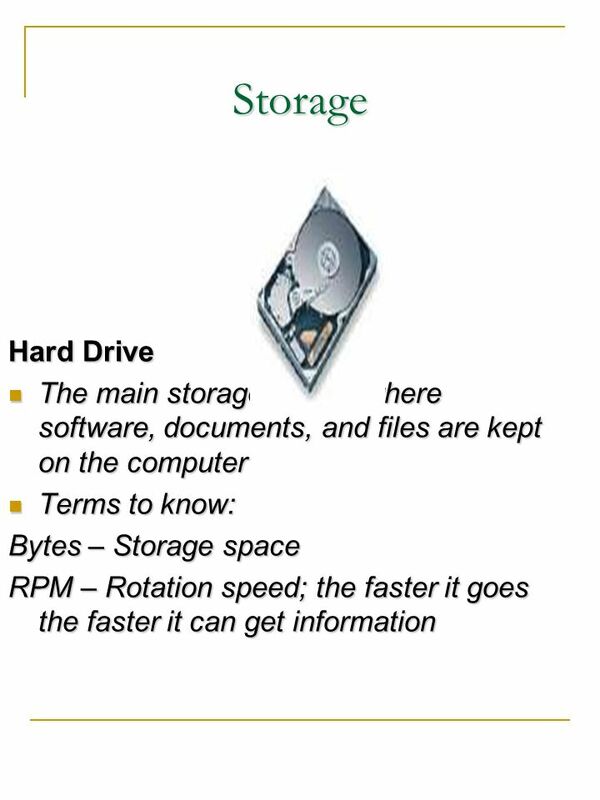 Go to a Driver Website Many sites such as: Offer drivers for large amounts of hardware. I can not guarantee the security for these sites. 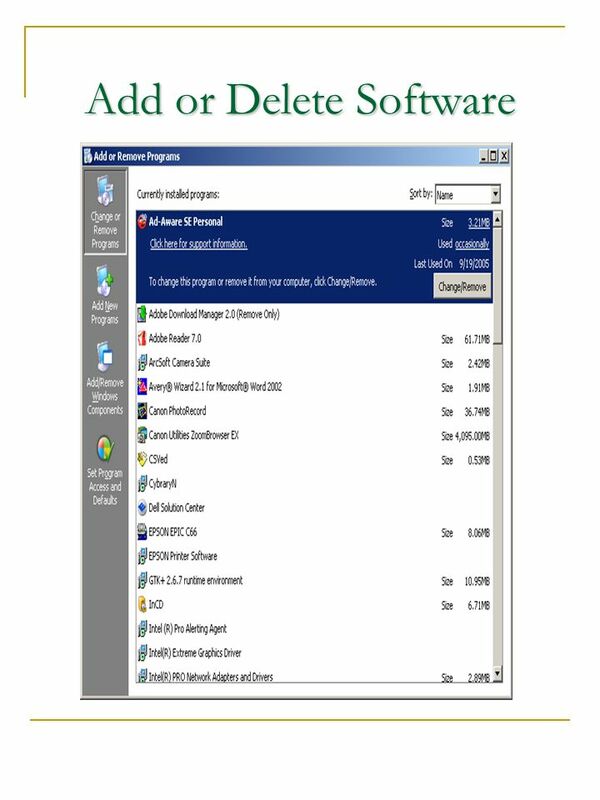 I recommend only using these sites as a last resort. 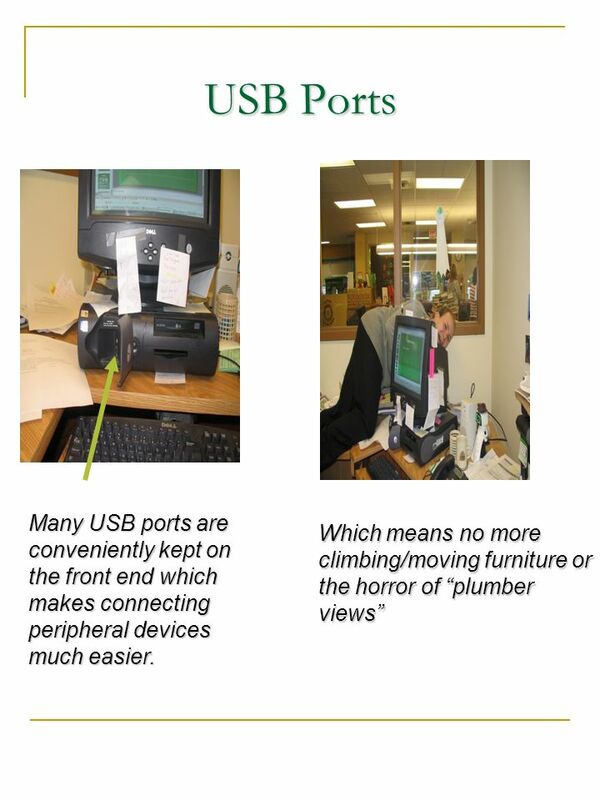 Do you want it to be read from the network or an individual terminal ? Who do you want to use it ? 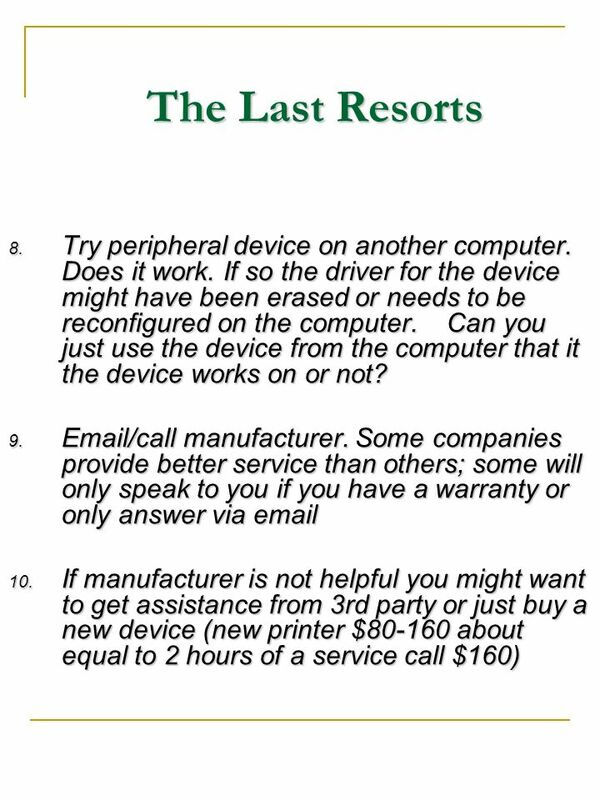 Do you want a warranty ? 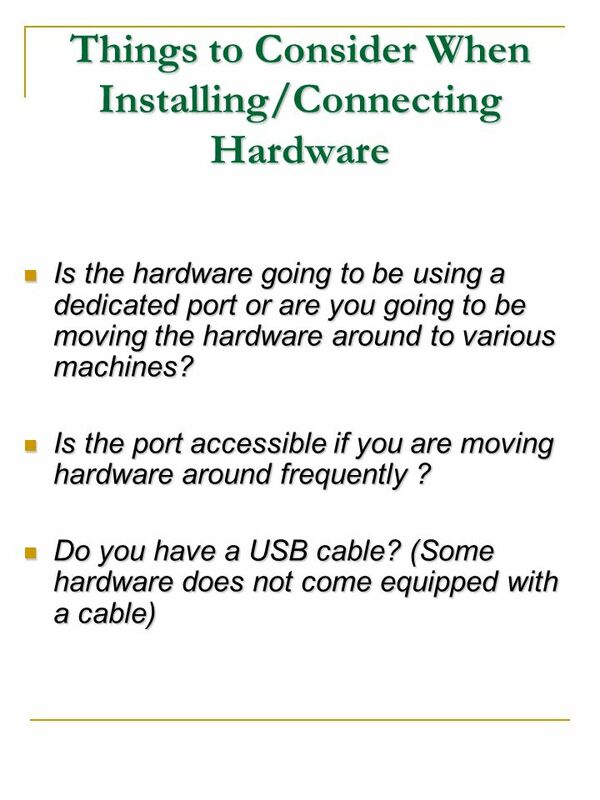 Is the port accessible if you are moving hardware around frequently ? 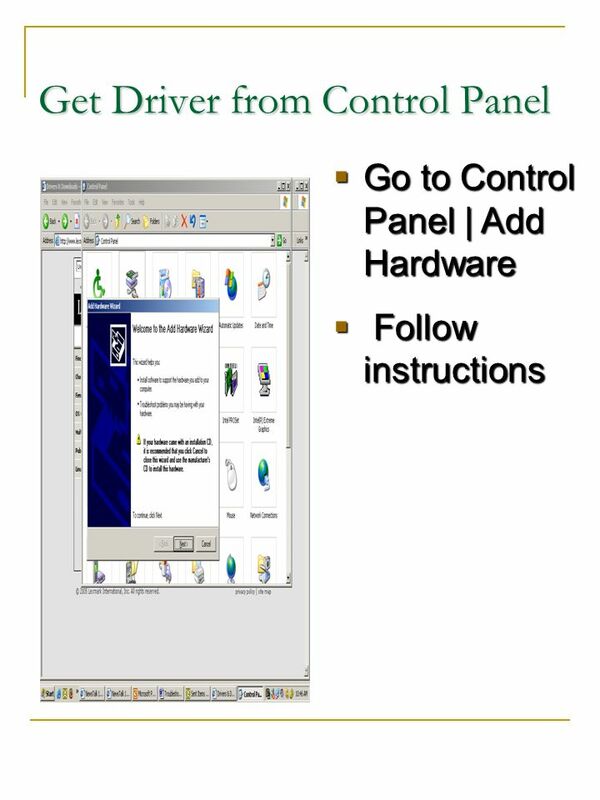 Change Users by going into Control Panel | Peripheral Device | Right Click Peripheral Device | Sharing. 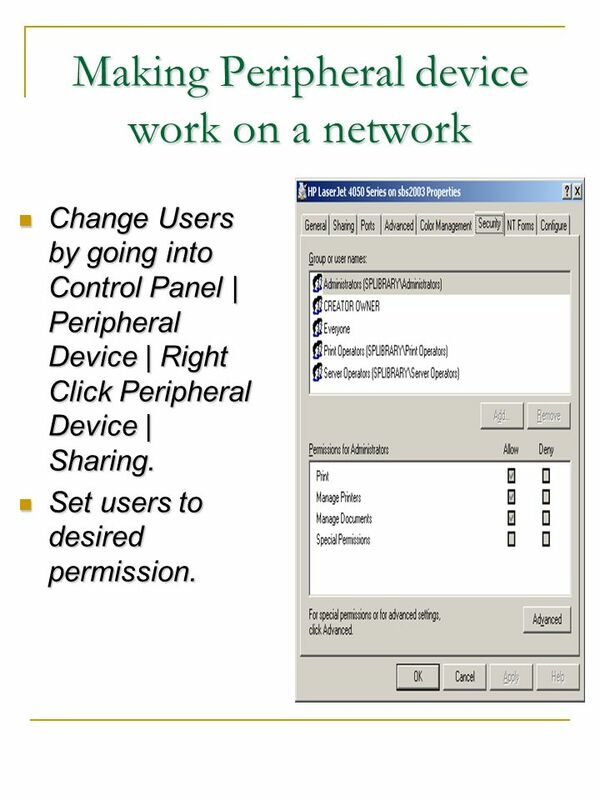 Set users to desired permission. 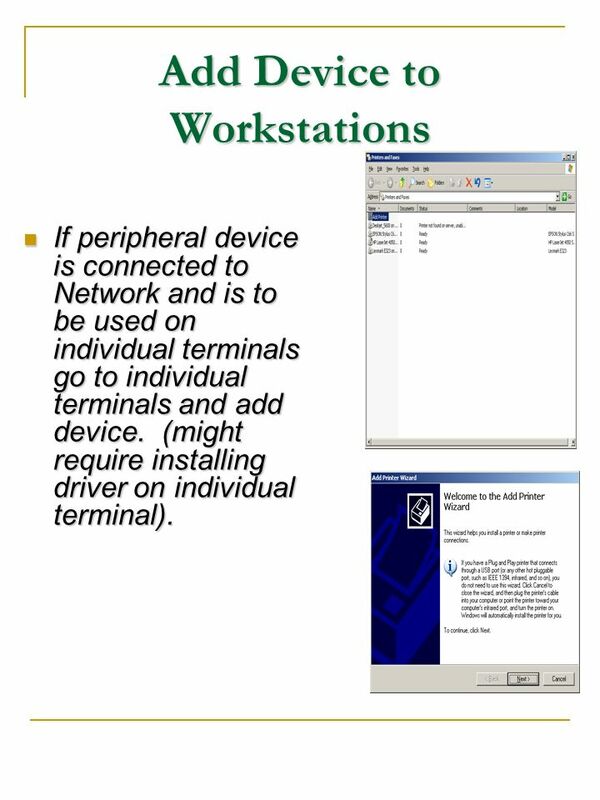 If peripheral device is connected to Network and is to be used on individual terminals go to individual terminals and add device. 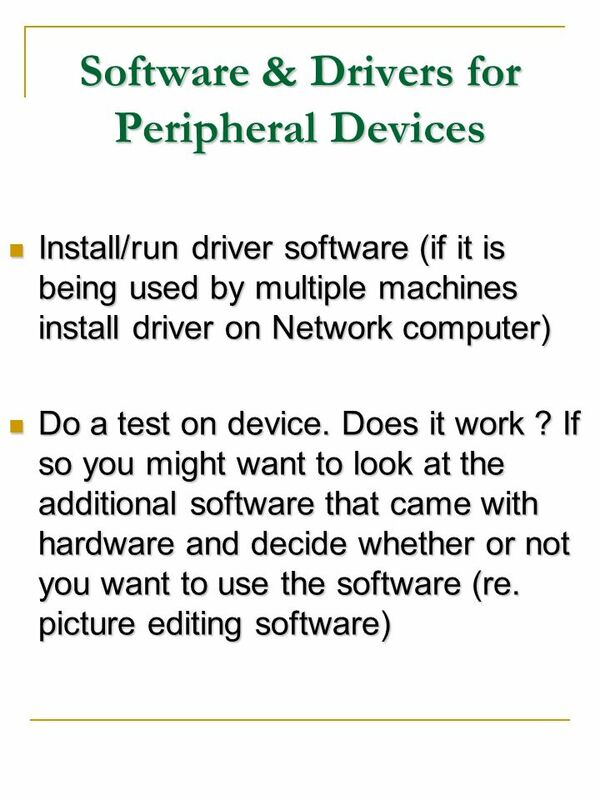 (might require installing driver on individual terminal). 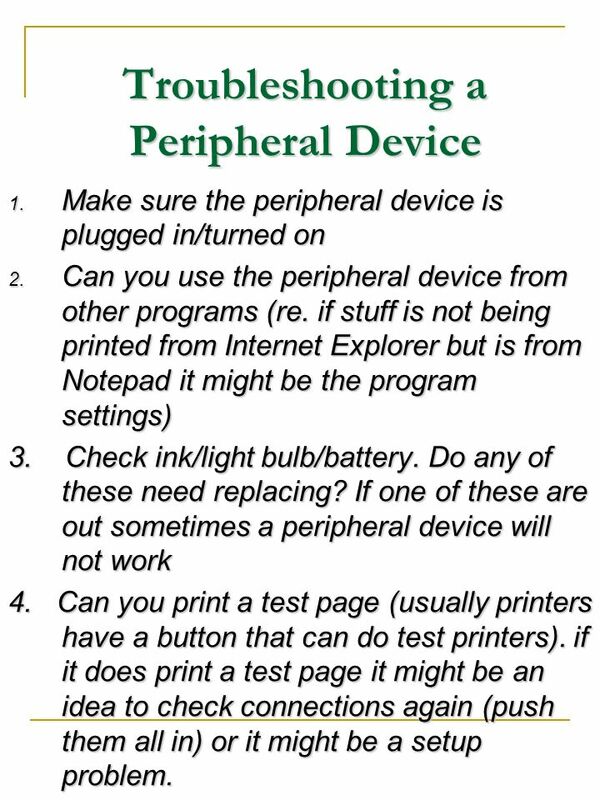 Make sure the peripheral device is plugged in/turned on Can you use the peripheral device from other programs (re. 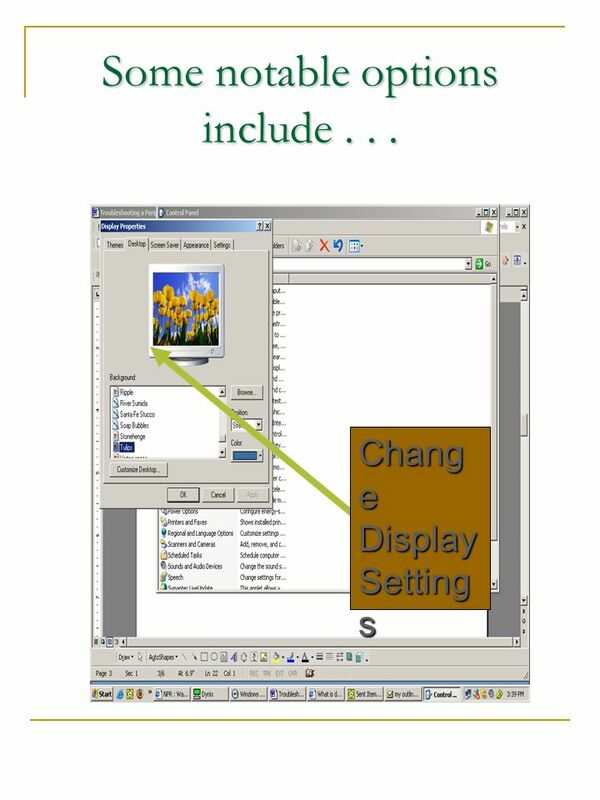 if stuff is not being printed from Internet Explorer but is from Notepad it might be the program settings) 3. Check ink/light bulb/battery. Do any of these need replacing? 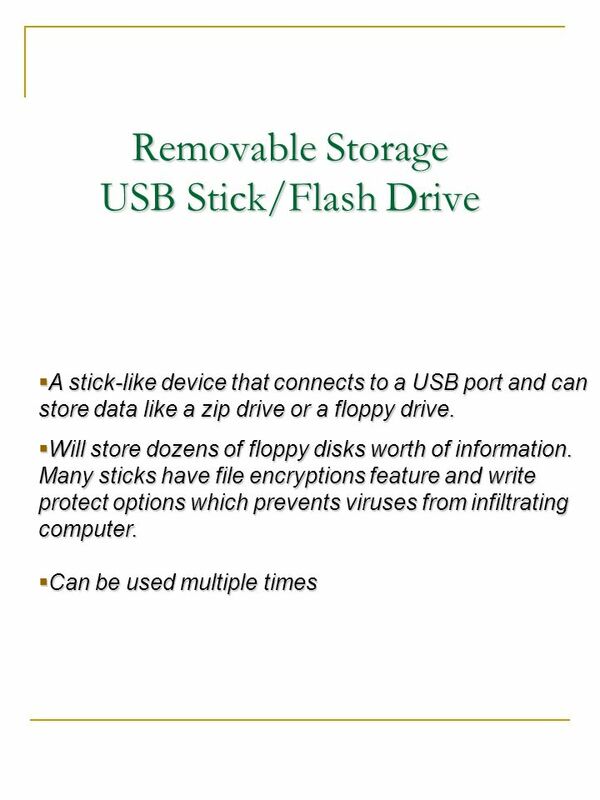 If one of these are out sometimes a peripheral device will not work 4. 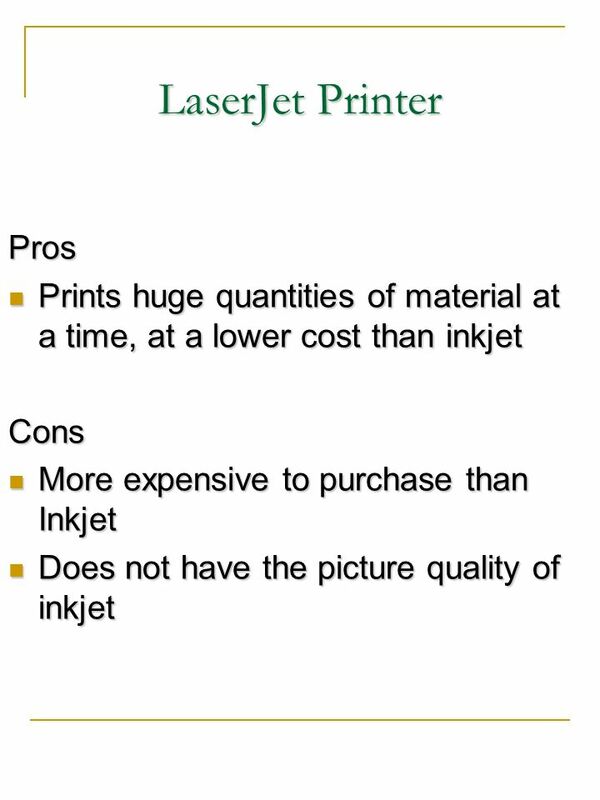 Can you print a test page (usually printers have a button that can do test printers). 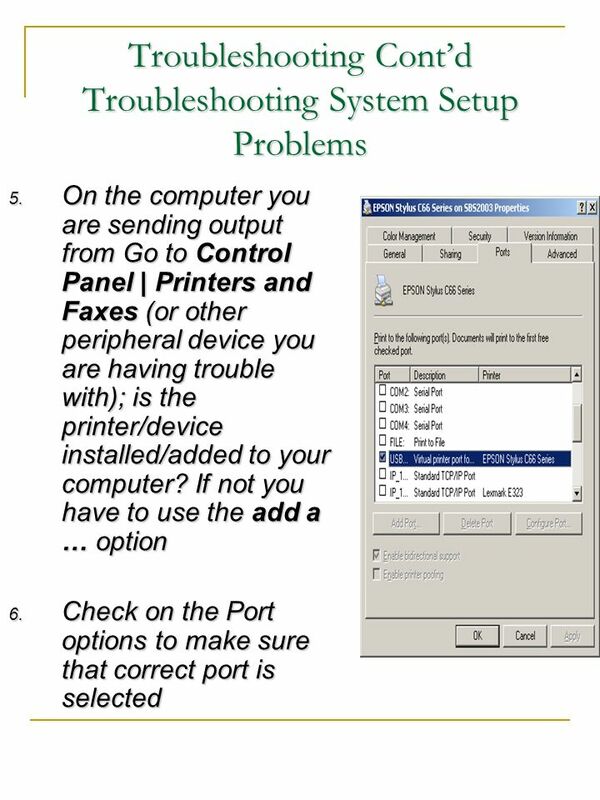 if it does print a test page it might be an idea to check connections again (push them all in) or it might be a setup problem. 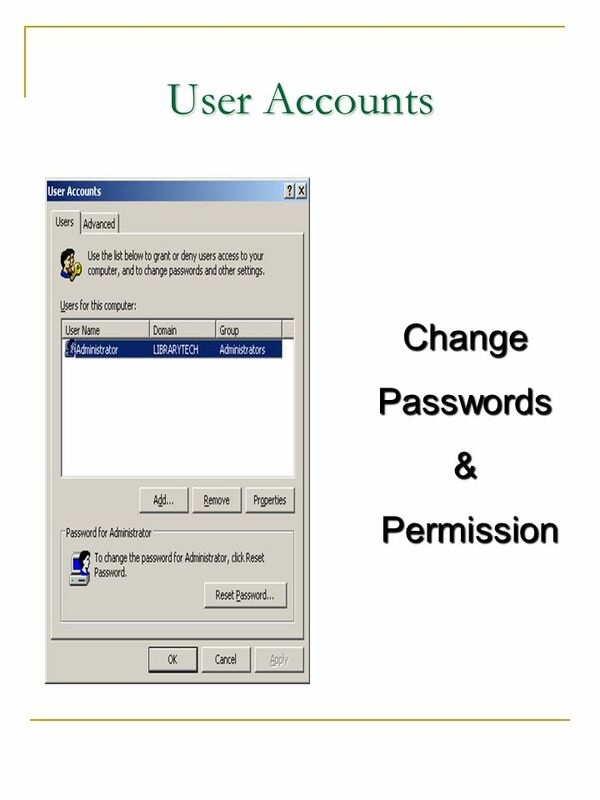 44 User Setting Is the user given permission to use the device? 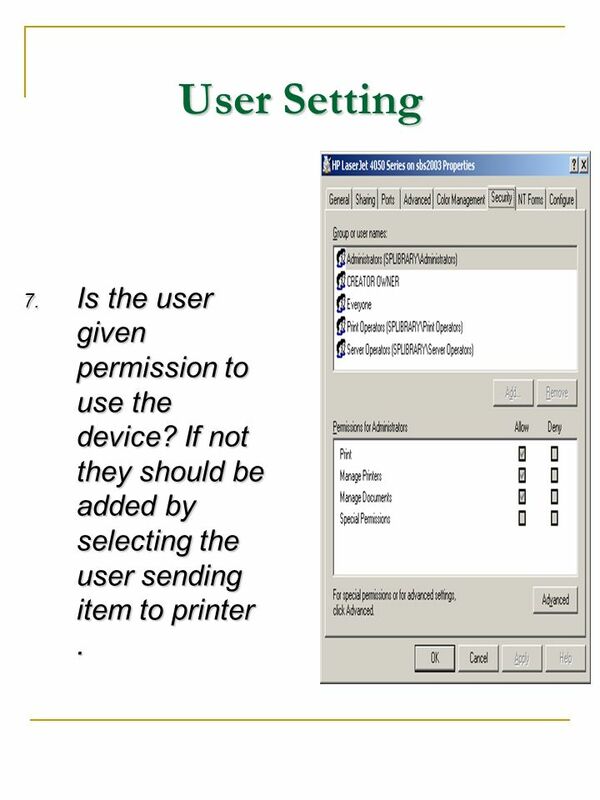 If not they should be added by selecting the user sending item to printer . 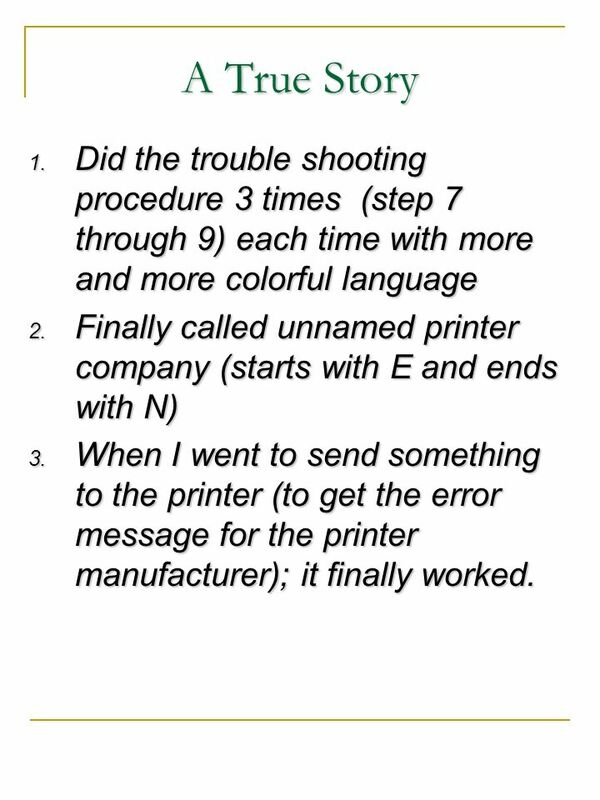 46 A True Story Did the trouble shooting procedure 3 times (step 7 through 9) each time with more and more colorful language Finally called unnamed printer company (starts with E and ends with N) When I went to send something to the printer (to get the error message for the printer manufacturer); it finally worked. 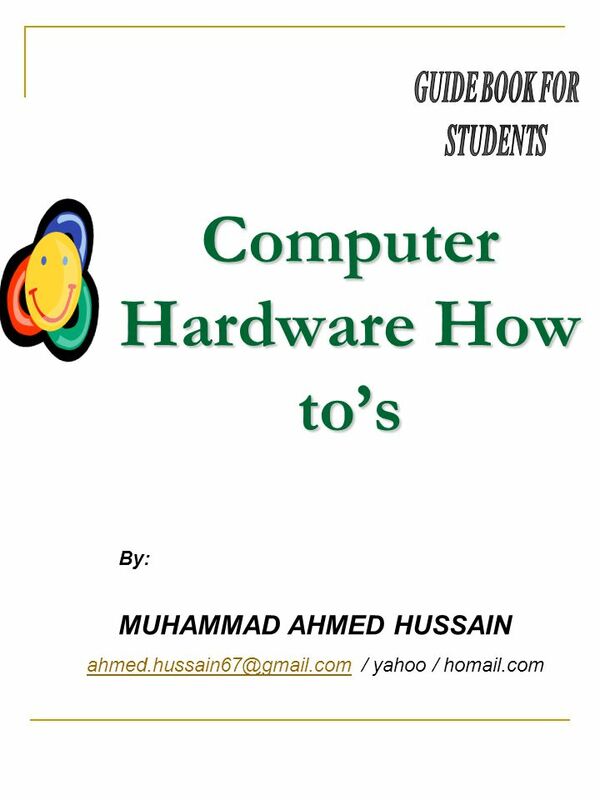 Download ppt "Computer Hardware How to’s"
Warm-Up Complete Both Sides #1-#10 Computer System Review. 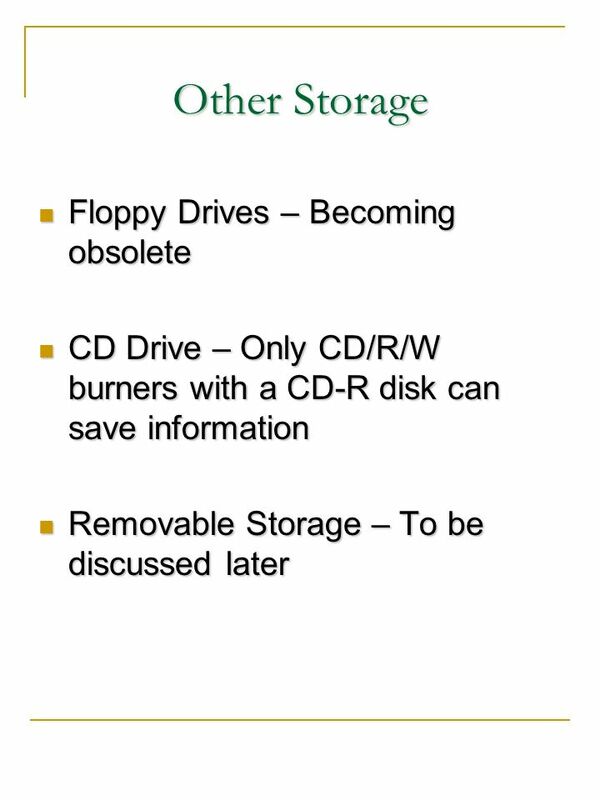 Computer Basics I Course Outline 1: What is a computer? 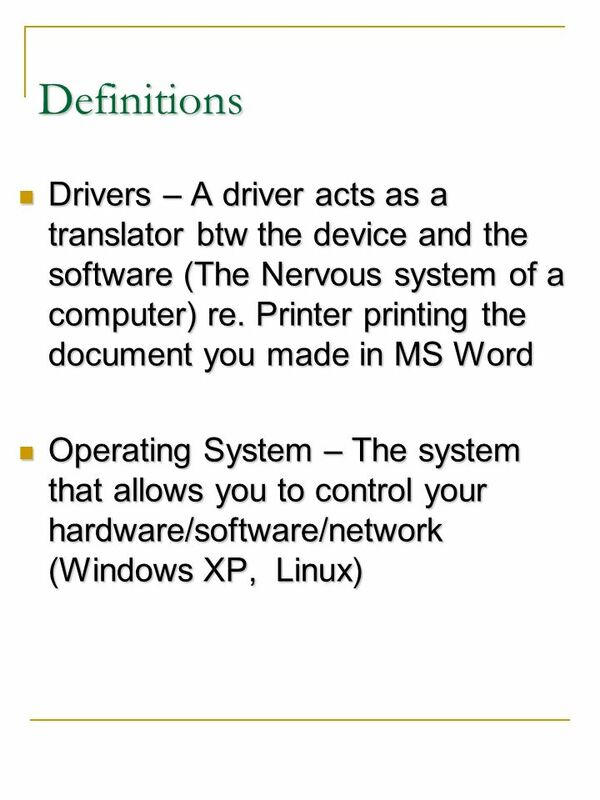 2: What is an operating system? 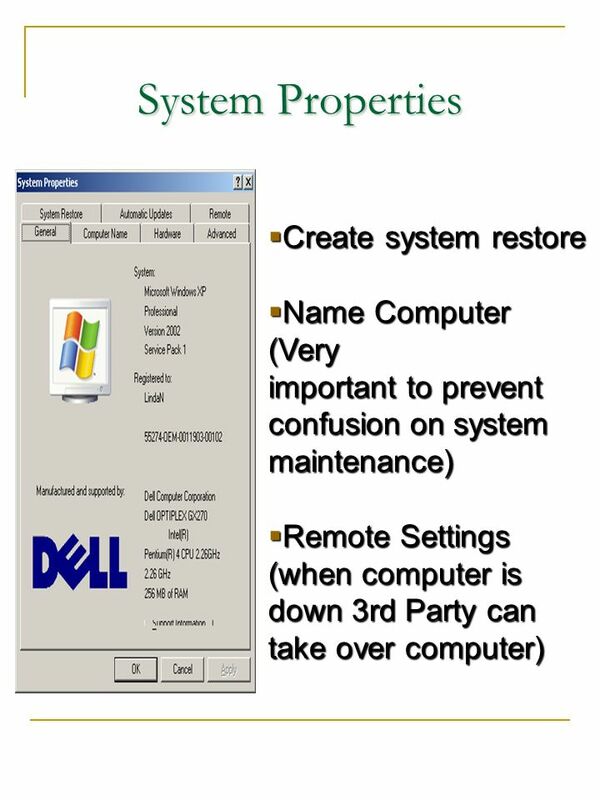 Using a Desktop Computer 3: What are the basic parts of a desktop. Copyright © Allyn & Bacon 2008 POWER PRACTICE Chapter 3 Computers in the Learning Environment START This multimedia product and its contents are protected. 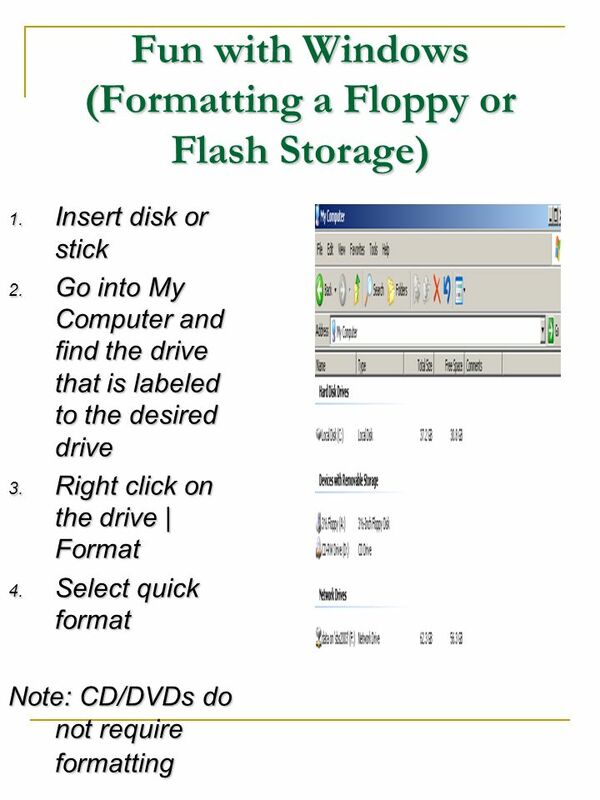 Computer Hardware Software Network Peripheral devices Input Breaking codes Modeling weather systems Mainframe Server System unit CPU Input Devices Data. 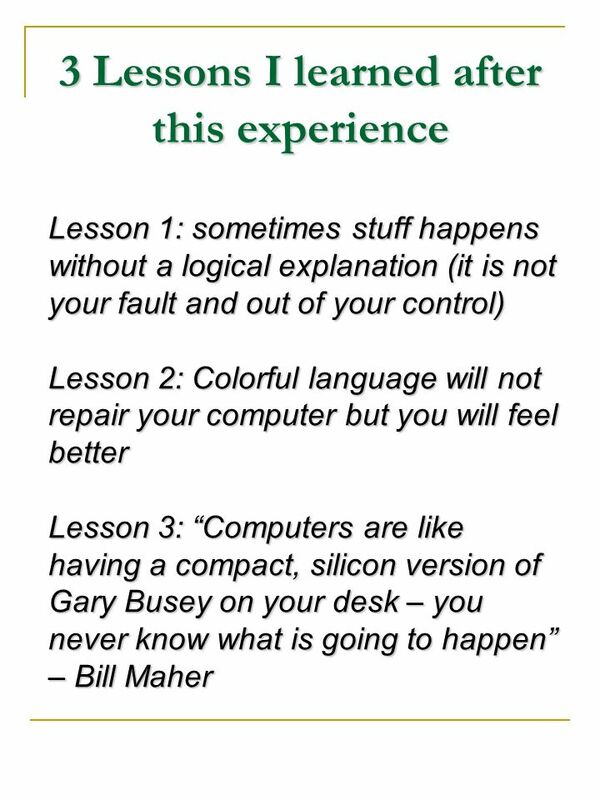 Computer Basics Dayton Metro Library Place photo here May 20, 2015. 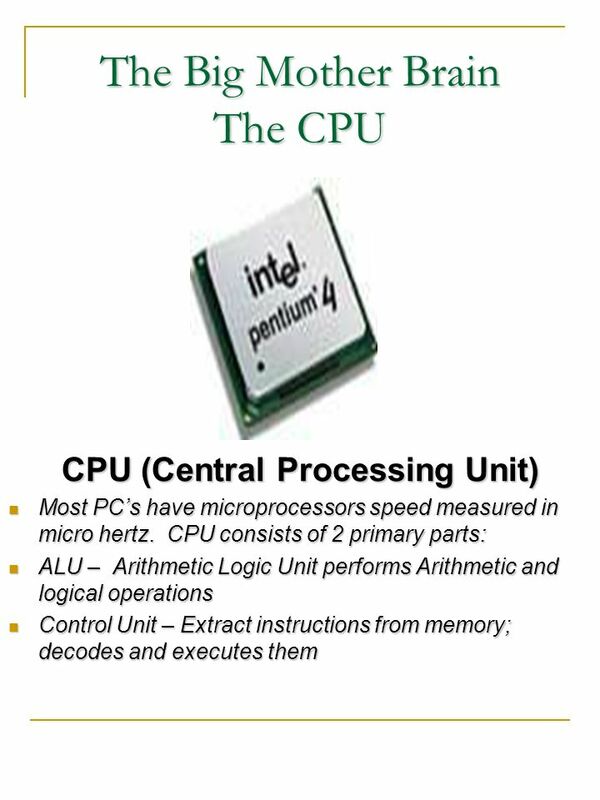 A Quick Review of Unit 1 – Recognizing Computers Computing Fundamentals © CCI Learning Solutions. 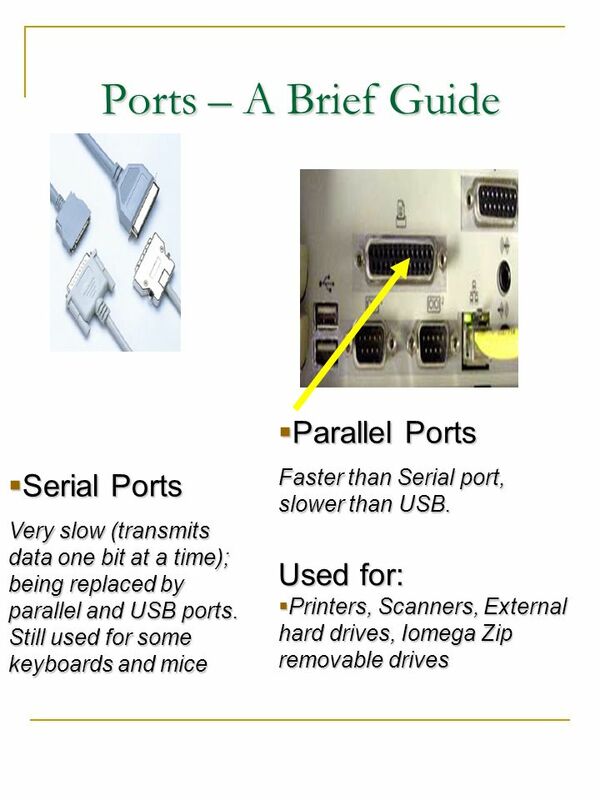 Types of Computers & Computer Hardware Computer Technology Day 1.